The Subaru Electronic Parts Catalogue (EPC) is used in the day to day maintenance and repair of Subaru vehicles. This CD contains exploded diagrams of the cars with all parts identified with relevent part numbers. It is ideal not just for identifying parts but also shows how things go together! 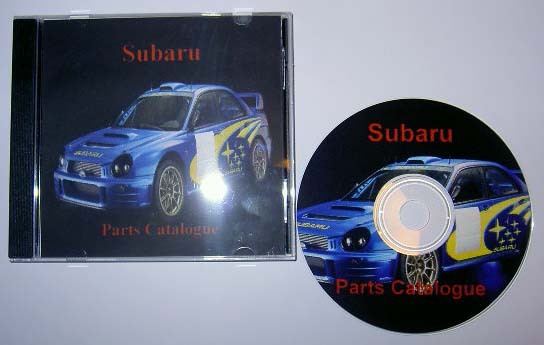 The CD covers the Subaru models listed below and is a must for any Subaru enthusiast. This Subarus EPCcan be installed in English, French, German or Spanish and covers vehicles up to 2002, see below for precise details.